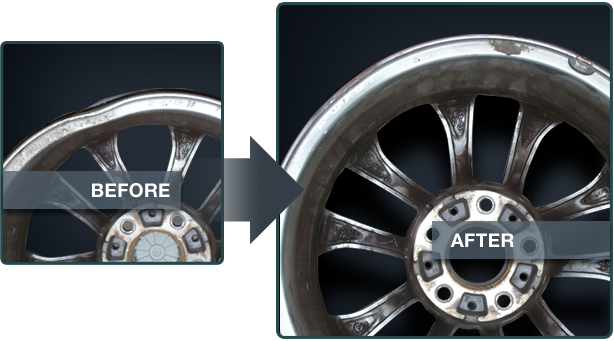 Kwicksilver technicians can straighten virtually any bent car or truck rim. Whether it’s a 15″ OEM or 24″ custom rim – no job is too small or too large. This includes steel, aluminum and chrome rims. Kwicksilver has devised it’s own patented straightening devices to get the job done right. Each rim is first inspected with a highly sensitive measuring instrument to determine the exact location and severity of the bend. The damaged area is then brought back to original manufacturers’ specifications by using very specialized wheel straightening machinery.